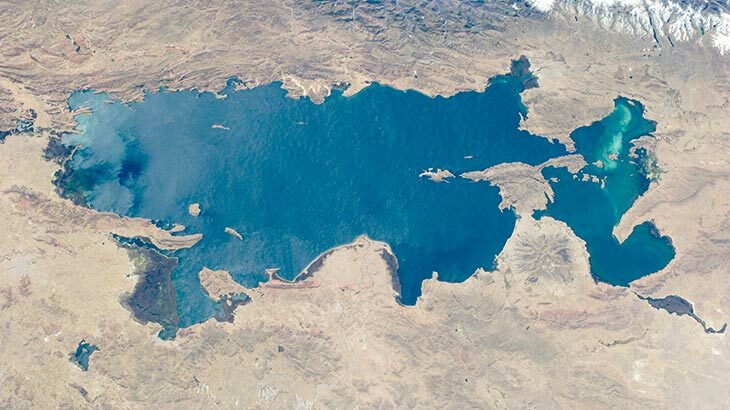 Where is Lake Titicaca? it is located on the boarders of both Peru and Bolivia, at an altitude of 12500 feet (3800 meters) above sea level and is considered to be one of the highest lakes in the world. Located on the altiplano it stretches in the north at Puno in Peru and to the south at Tiwanaku, Bolivia which is one of the most important ancient ruins in all South America. For the Inca, Lake Titicaca was considered the center of the universe, in one of their myths Wiracocha, the creator god, created a great flood from which only three humans survived which is said that these three humans where the beginning of human race, still unhappy with his creation, Wiracocha also created Lake Titicaca, the sun, the moon and the stars. Another Inca legend suggests that the first Inca Manco Capac and his wife Mama Ocllo emerged from the lake to look for a place to build the Inca Empire. The lake has been home to many ancient South American civilizations, the Puraka civilization settled from around 200BC and was believed to be a peaceful farming community, a thousand years later the Tiwanaku culture emerged and spread south to Bolivia, later and Aymaras and the Collas emerged in different areas of the lake only to be taken over by the mighty Inca Empire. Ever since the Inca civilization lived in the lake area there have been stores of sacred powers and a hidden city. In 1968 French explorer Jacque Cousteau undertook an underwater expedition, he was unable to find any underwater city, but he did find many new varieties of animals that had never been seen anywhere else in the world. In 2000 another expedition by Akakor Geographical Exploring found what is thought to be a temple and a road dating back 1500 years to the Tiwanaku Culture, attempts to bring the temple to the surface, faced many protests from the local people who feared it would disturb the waters of the lake and it is sacred powers. 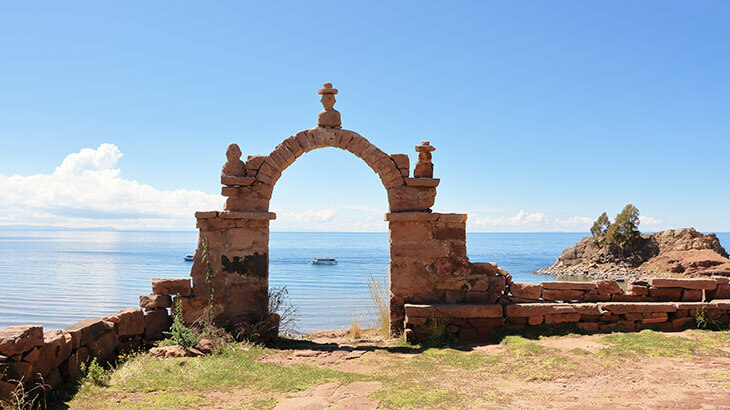 But it is believed that Lake Titicaca was formed around sixty million years ago, pre Ice age by a massive earthquake that shook the Andes mountains splitting the range into two and forming the hole which filled with water from the melting glaciers nearby. 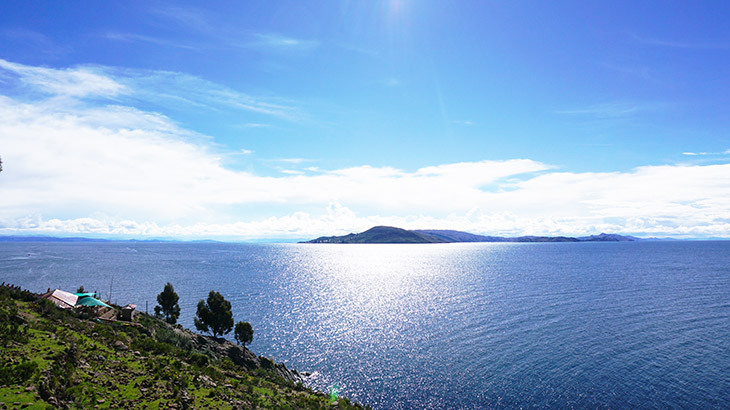 At 12500 feet above sea level, Lake Titicaca is one of the highest navigable lakes in the world, it is also the largest lake in South America. The lake has a maximum length of 118 miles and a width of 50 miles, the average depth is 351 feet, but some parts can get as deep as 900 feet. 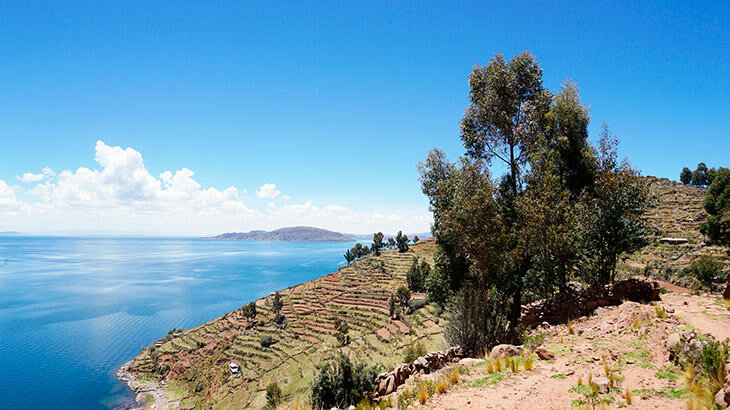 When you visit Peru you will find the Lake Titicaca in the South of Peru and there are many different things to do and see around the lake and also on the lake, there are many different islands on the lake to visit, the biggest being Isla del Sol, accessible from the Bolivian side of the lake at Copacabana, this island has some well-preserved ruins and is said to be where the first Incas rested when they emerged from the lake, on the south side of the Island there is Yumani, the site of the Inca steps and a sacred fountain which is said to be the fountain of youth.On the north end of the Island is the town of Challapampa home of a huge stone complex full of mazes, it is said to be the home of trainee Inca priests, also worth the time to explore is Isla de la Luna, with a cluster of ruins to explore, it is said to be used as a convent for Virgins for the Inca kings. Also nearby are the rock islands of Armantani and Taquile both of which have interesting ruins and traditional villages, the two islands are worth a visit and you may stay overnight with the local families to get a taste of their peaceful way of life, both islands are equally famous for their hand knitted handicrafts such as hats scarfs and jumpers. 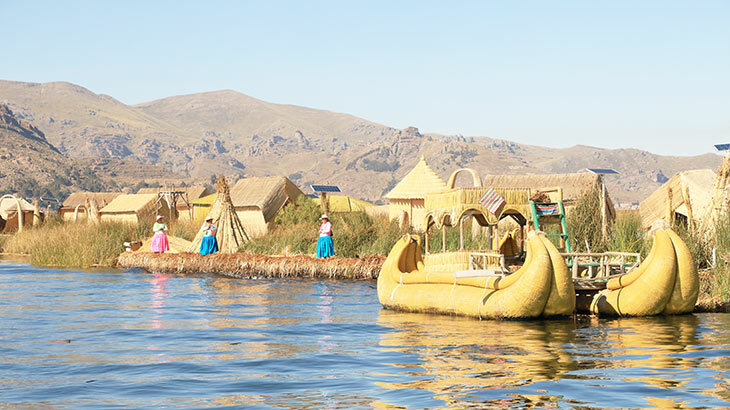 Another must see in the lake is the amazing Uros Islands or the floating Islands. These islands are made completely from the reeds that grow in the lake, the local inhabitants also make their houses and boats from the same reeds. These people lead a simple traditional life and grow most of their food and eat plenty of fish. 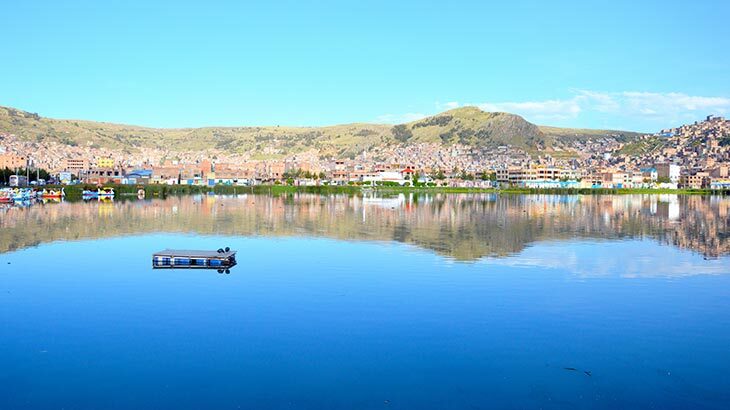 It is said that the Uros people withdrew from the mainland to avoid the warring tribes on the mainland, today the people live off tourism with hundreds of tourists visiting every day, you may buy handicrafts from the local people and enjoy some local seafood. 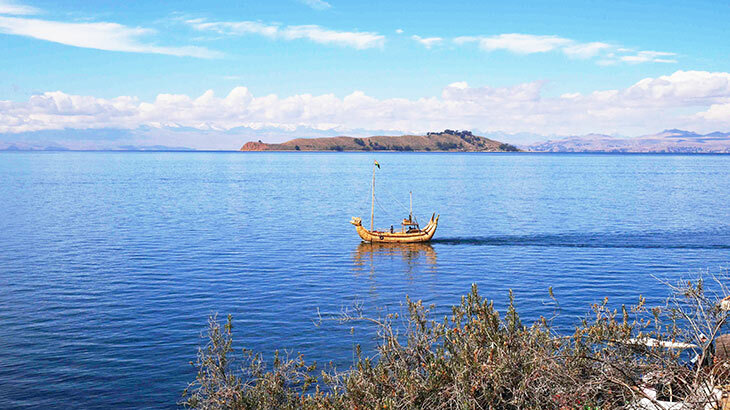 Boats leave from Puno on the shores of Lake Titicaca every day to all the islands. 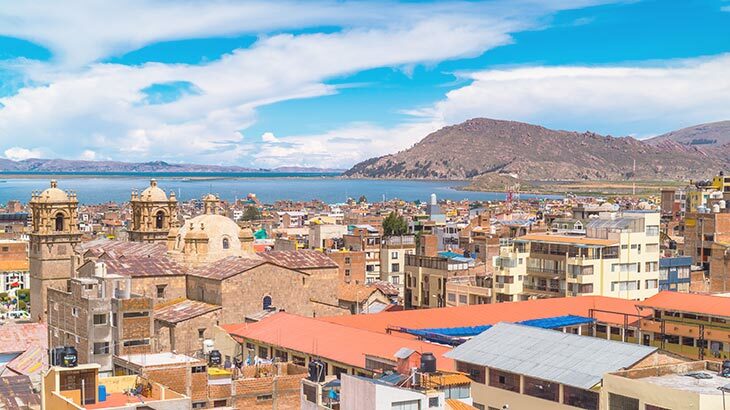 On the shores of Lake Titicaca is the town of Puno, the town itself is not very attractive but has some interesting sights, the Plaza de Armas has a cathedral which was built in 1747 by Simon de Asta. Lima street is car free and contains many good restaurants and bars. Also in Avenida la Torre is the railway station and an interesting market. Puno is the folklore capital of Peru and the local people practice many different forms of dance. 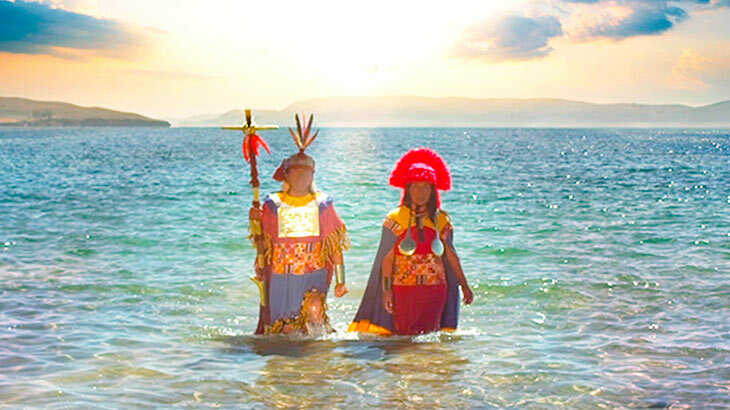 Every February, locals and foreigners visiting Peru descend on Puno for the Fiesta de la Virgin de Candelaria to see thousands of colorful dances and parades. 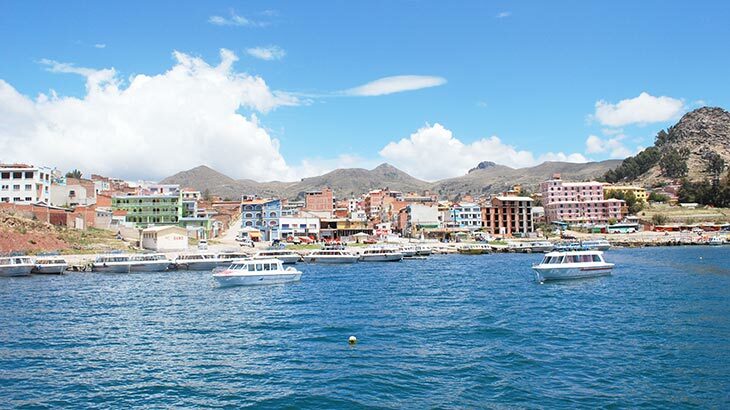 On the south side of the lake in Bolivia is the town of Copacabana, a hive for tourists wanting to visit Lake Titicaca, this town has a warm climate and many nice little restaurants and bars. Here is the starting point for tours to Isla del Sol and the Isla de la Luna. We cannot forget to mention the name, the name Titicaca it is said was given prior to the Incas by the Aymara and Quechua people who lived in the area, Titi is said to be a Puma that they believed is the shape of the lake, and Caca part is not what you would think but it means rock or stone in the Quechua language. 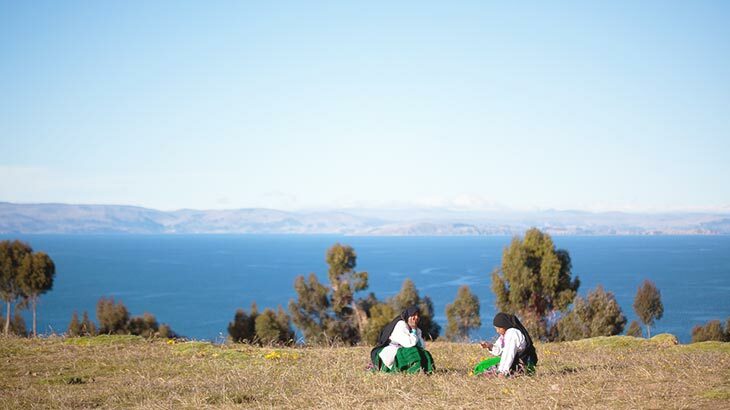 If you would like to visit Peru, Lake Titicaca is a beautiful area, and very easily accessible by train or bus from Cusco or by plane from Lima. 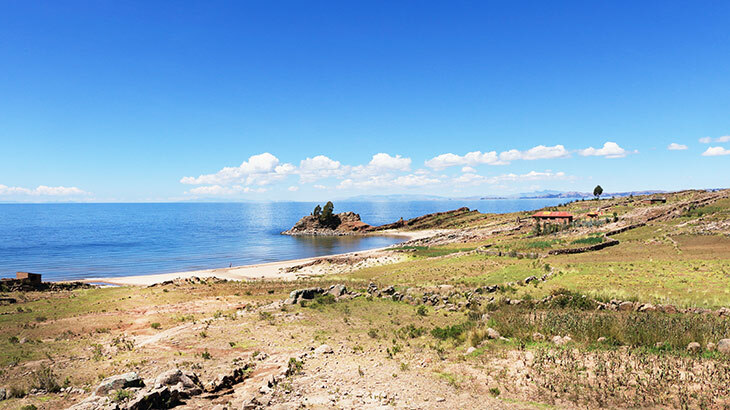 For you next Peruvian holiday take the time to discover the Marvelous Lake Titicaca. Travel To Peru adventure, culture, traditions. permalink.